Avinash ‘Expiry’ Abhishek is a 2014 Batch Electrical Engineer currently working as Technology Trainee at Vodafone India. This is how he describes himself: “I am a fitness freak, techno maniac and an appreciator of minimalistic design.” Avinash was the Design Core of Amalgam 2012, Weight lifting and Power lifting Captain of Godavari Hostel 2012 – 2013 and also a Mitr Councillor of Godavari Hostel. My placement experience was great. It helped with some self-introspection and hence I could project myself (at the interviews) in a better way and get placed in Vodafone. 2. What are the job profiles offered by Vodafone? The telecom sector is an innovative and rapidly growing industry. Vodafone has got a well-defined program called “Discover” for graduates from institutes like IITs & IIMs. It offers roles in the technology vertical which mainly includes Networks and IT. During a training period of one year, one gets exposure to retail, sales, marketing, network and IT. This helps to understand the basic business model and overall functioning of the company. After one year, you will be given a role of Assistant Manager in Networks or IT depending on our preference. You also has an option to move into Sales and Marketing depending on your performance. An international assignment via “Columbus” is offered to high-performance candidates at the end of two years. 3. How important are Positions of Responsibility, CGPA, and extra-curricular activities? During our time, Vodafone was open to all branches and had a resume shortlist, GD and was followed by three rounds of interviews. I don’t think CG was a major selection criterion. They were looking for people with versatile personalities, who have the capability of getting things done in the real world. This is evident from the GD topics and the interview procedure in which the candidates were grilled on every resume point. My PoRs helped me give real-life examples as answers to these questions, and I’m grateful for this. They were looking for people who could think out of the box and also have a clear line of thinking. I was always interested in Techno-Management kind of roles as I felt this is an area where I could connect to what I have learned and apply it in real-life situations. 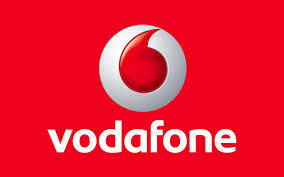 Vodafone is purely a techno-management company. Simply put, during the first year of training we play the role of a consultant where we are given live projects in various verticals like sales, marketing and networks , and which have a direct impact. These projects involve close interaction with almost all levels of management in the vertical we are working in. We are also asked to get a customer perspective of various schemes being implemented and other business decisions. For people applying to a similar profile, be thorough with all your resume points. Specifically in the case of projects, they are looking how your contribution helped in successful completion of projects.Generally these kind of interviews start with questions like “Tell me about yourself…”, “How do you think you are suitable for this role?” etc. Write down the answers and practice them out loud. Have mock GDs and interviews within your friends group. Try and give examples from PoRs to support your answers. Interviewers are generally looking for people who have a clear thought process. Be clear and fluent in your communication. Do research about the company before attending the interview. Always have 2-3 questions handy to show that you have done some research about the company. 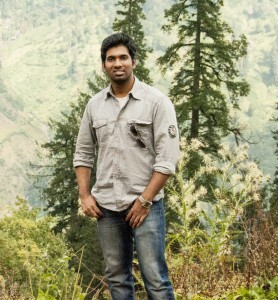 Insti has definitely influenced me a great deal in my work. The experience I got during various PoRs have helped me handle projects with responsibility and ease.